From conception to execution, Iterations (opening Sept. 16 at Alice Gallery) promises to be a fascinating show. 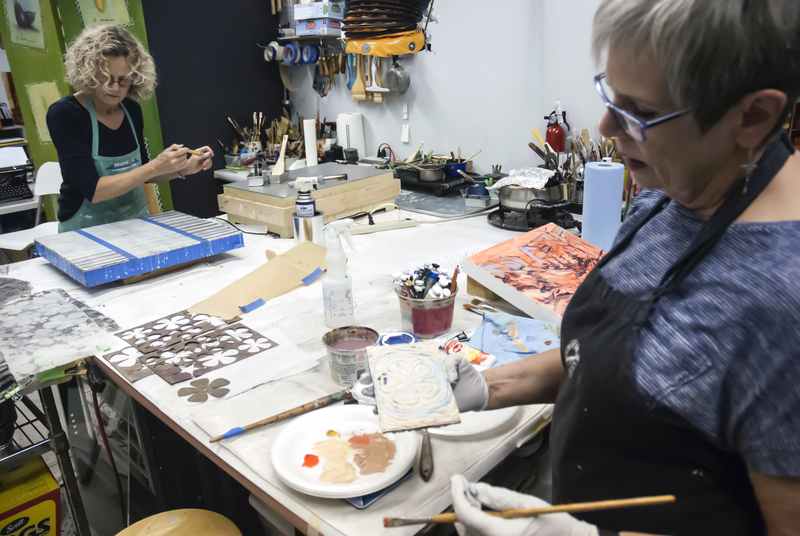 Working side-by-side in the same space on Thursday afternoons since May, Nancy Vorm and Sue Martin were hoping to see if their individual processes might influence each other. They created “iterations” – or series – of their individual work, sharing motifs when appropriate. Based on a recent studio visit, the idea has evolved beautifully . . .
Read the article in the September 2016 edition of 15 Bytes.